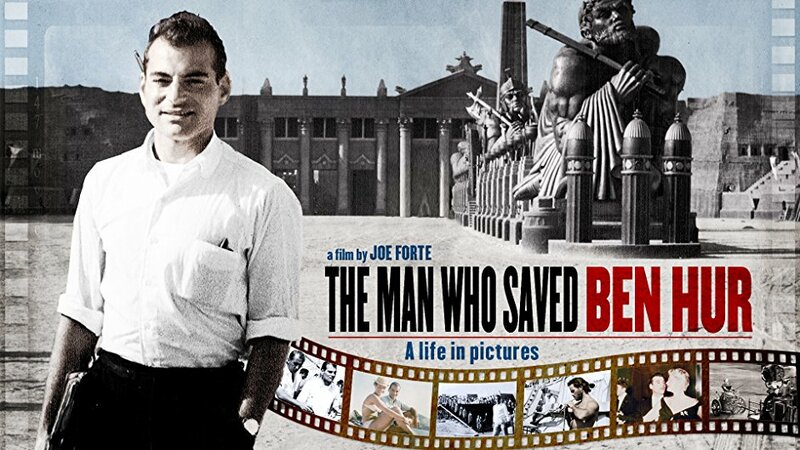 We looked after the North American DVD and VOD release of documentary feature The Man Who Saved Ben-Hur, a journey through glamorous old Hollywood and the redemptive tale of John Alarimo. John Alarimo was an uncredited second director on Ben-Hur and other major productions during Hollywood’s golden era of filmmaking, as well as friends with dozens of Hollywood’s iconic stars. Although you’ve never heard of John Alarimo, The Man Who Saved Ben-Hur director Joe Forte believes he indeed saved the smash hit film Ben-Hur, and this documentary explains why. The film is an ode to all those behind-the-scenes that contribute to the magic of Hollywood filmmaking. Revisiting his time on Ben-Hur and the years spent in Rome as an assistant director, 86 year old John Alarimo unpacks the boxes that house his memories of a by-gone Hollywood era, each memento carefully labeled and stowed, with exclusive never-before-seen photographs and memorabilia. We looked after all aspects of the PR and social media campaign, securing reviews, features and digital content with key broadcast, print and online outlets and support from several bloggers, influencers and social media groups.